Pegmatite is a rock well known for its impressively large minerals. It is a rock that is called so because it has got large minerals - whatever its composition. It is any rock with large mineral crystals. The minerals generally need to be larger than 3cm, however most often they are much larger - up to 14 meters long minerals have been found in this rock! It can be any rock such as igneous gabbro and diorite, or metamorphic schist or gneiss, and many others. Most often, however, it is a rock related to granite (they are called granitoids), and so most often it contains minerals such as quartz, potassium feldspar and mica such as muscovite. 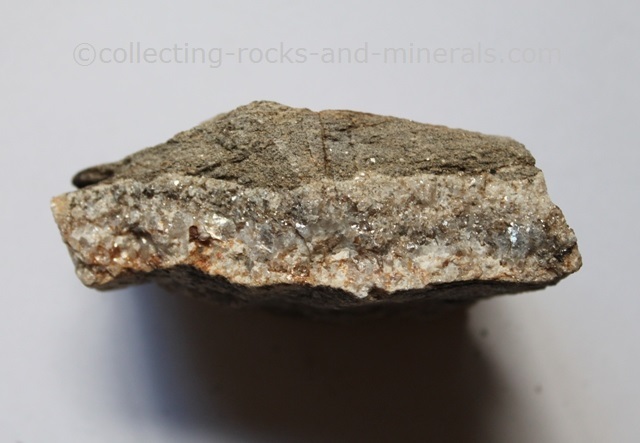 In other cases, some impressive minerals found in this rock have been spodumene, tourmaline, beryl, garnet, topaz, and some rare elements such as tungsten, tin, gallium, rubidium, beryllium and others. The reason for the large minerals is that this rock forms in the last stages of the formation of an intrusion, where water is involved. Water makes it possible for the crystals to grow so large because it makes all the particles very mobile. While large crystals normally only form when the cooling is very slow, over millions of years, in pegmatites they can form much quicker and still grow very large.